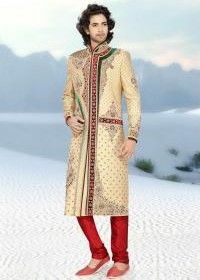 India is a land that possesses a rich history, derived from a number of traditions, customs and rituals. This secular country is one which houses multiple religions, inspiring a plethora of traditional ensembles that are highly popular amongst women from all over the world. One of the most basic forms of the traditional Indian dress is the Sari, an elegant drape available in a variety of styles and textures. Sarees possess a lot of grace and the charm and are generally preferred to be adorned during festivities and occasions. This embodiment of elegance is distinctive and is available in various materials such as silk, chiffon, cotton and other synthetics. Since India is renowned for its cultural amalgamation, the Saree too is adorned and created in a diverse range, according to the culture and influence of the particular area or the state one resides at. Originating from the small town known as Kancheepuram, this silk fabric has been around since over 400 years. The designs of a Kanjeevaram Saree are heavily inspired by paintings of palaces and temples and are filled with Zari work on the borders. This Zari work is conducted by making use of gold and silver, making these Sarees rich in appearance. A small town in Madhya Pradesh, known as Chanderi is one of the most renowned towns due to its production of Chanderi Sarees. These Sarees are hand woven, created out of silk or cotton, possessing a rich gold border that makes it one of the most exclusive creations of the country. Crafted out of finely woven silk, this intricately designed Saree is one of the most popular of its kind and is traditionally adorned for wedding purpose. Another gem, this Saree is a product of Paithan, Maharashtra and is one of the most exclusive creations adorned by every woman in the state. One of the most interesting aspects of this Saree is that its Pallu comprises Zari work and a variety of designs inspired by the flowers and the birds that the country houses. This traditional silk Saree is famous for its Zari on the Pallu and the borders and originates from Karnataka. This embodiment of elegance is one of the most sought-after in the range of Sarees available in India. 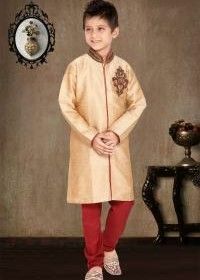 With the ongoing festive season, the traditional India dress has come into prominence again and you can choose from a variety of the above mentioned designs in order to turn heads and create a fashion statement. How to augment your look in these sarees? While all of these sarees are elegant enough to stand out on their own, a little help can go a long way in making them even more appealing. To help you out, here’s how you can augment the look of your traditional saree in a way that turns eyes wherever you go. Traditional sarees can never go wrong with the right accessory to augment your look. With most of these sarees popular in southern India, enhancing your ensemble with the tradition of adorning yourselves with gold will surely complete the authentic attire. On the other hand, you can always choose to break free from tradition and opt for accessories that are more bling and less burden on your wallets or bank accounts. Accessories with kundan work, pearls, etc. 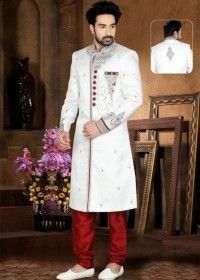 are sure to look great with any of the sarees you plan to be draped in from the above choices mentioned. And if you choose for blouse patterns with boat necks and long sleeves that are usually best styles with these sarees, you can always forego neckpieces and flaunt wrist accessories and chunky earrings instead. What footwear you choose to flaunt with your saree also makes a huge difference in making your look or spoiling it. If you are blessed with a good height, you can pull of a saree without look short and stubby. 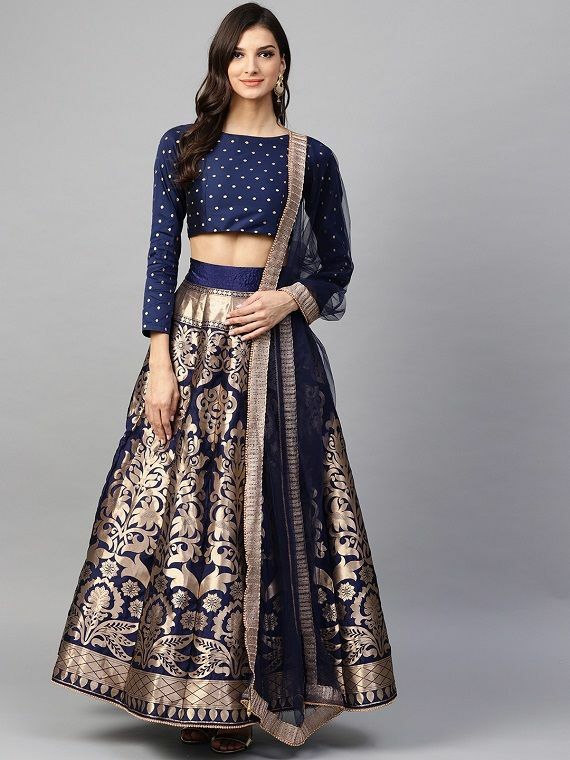 However, for those who look even shorter in sarees, wedges can be the perfect footwear to wear to give you an added height without hurting your precious feet in the process. Not only can you flaunt the saree well but also ensure that your feet are not bearing the brunt of wearing heeled shoes that usually has women running toward the seating area to relieve the pressure on their feet. When it comes to traditional Indian sarees, complementing the look with some fragrant flowers gracing your head in place of hair accessories is also an idea that can fare well in making the overall look one worth flaunting. Whether it is a festival you are intending to attend or a wedding you plan to grace, you can never go wrong with fresh flower garland pinned to your hair in a classy bun. Where to shop for your traditional sarees? 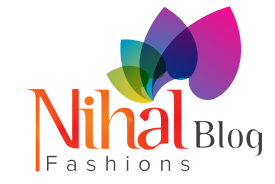 If you are low on time to shop for the perfect saree, Nihal Fashions is certainly the right place to be. And if you have a plethora of time on your hand to shop for the saree of your choice, then go ahead and take a look at the entire inventory we have in store on our website. You can find sarees in various materials and styles to suit your needs and get them all without stepping out of your homes! 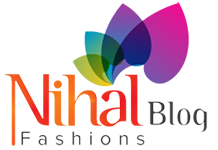 Available at the most reasonable prices, all of the sarees we offer can be purchased with numerous discounts in tow. Apart from getting it customized to your liking and specification, these sarees will be delivered to your doorstep anywhere across the globe. You need only take the effort of visiting our website and our catalogue online to choose the one you see yourselves draped in and we make sure you get the best quality sarees at jaw-dropping prices.